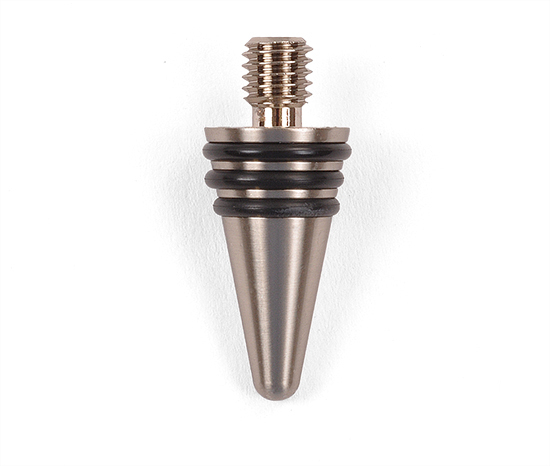 Stainless steel bottle stopper with three silicone rings for sealing standard size wine bottles. Plug is 1-1/2" long, and tapers from 3/4" to 1/4". Screw is 1/2" long and 3/8" wide.